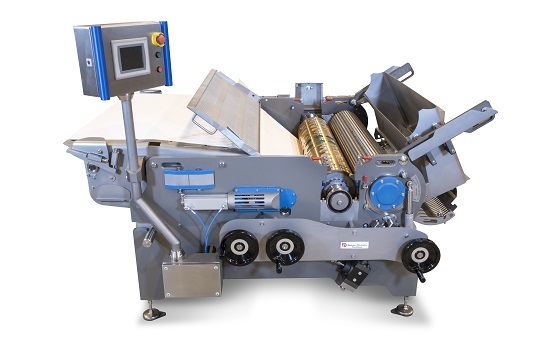 Baker Perkins’ new TruClean™ Series3 rotary moulder for soft dough biscuits and sandwich cookies sets new standards in hygiene, operation and maintenance, while retaining all the important high performance characteristics of the previous machine. 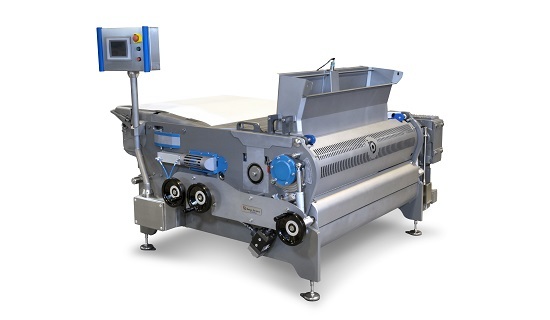 The new design replaces the Series2 - proven in high-performance applications around the world - with a machine that uses the same process but includes enhancements that raise the Series3 to Baker Perkins’ TruClean™ standards. These reflect a clear demand from the industry for the highest standards of hygiene and lower maintenance and cleaning costs. The TruClean™ Series3 is designed for consistency at high outputs in environments where close control of size, weight and texture are essential. A full range of adjustments is available to ensure that products - ranging from the thinnest crisps to the thickest bars, the smallest ingredients to the largest biscuits - can all be produced accurately and reliably. 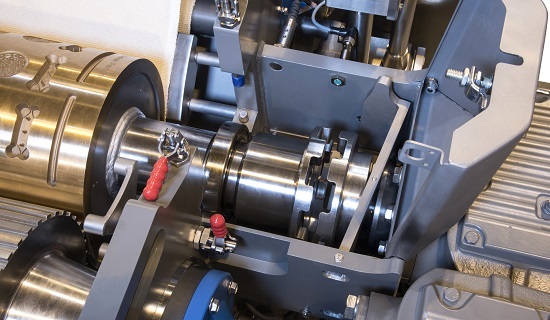 Close control of all major process variables is the key to maximising quality and productivity, and the TruClean™ Series3 incorporates the full complement of process control techniques. Correct web tension is essential to ensure clean extraction but it is very easy to over-tension, damaging the web and shortening its life. Web tensioning is now automatic to eliminate these problems. Fine tuning of the dough piece weight is achieved by altering the position of the knife that scrapes the surface of the roll to ensure that every cavity is evenly filled. As it moves round the roll, the mechanism ensures that it stays tangential to the roll surface for optimum performance. Adding the refinement of a new ‘park’ location for the scraper knife gives easier access, so that changing both knife and moulding / die roll is much simpler and quicker. 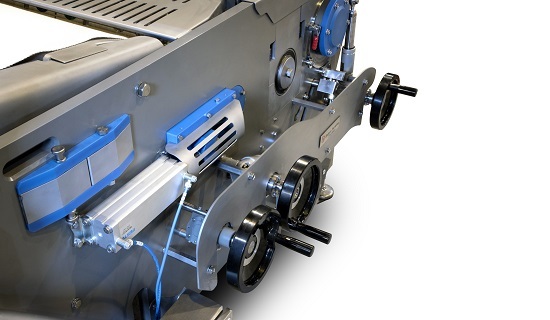 Continuous high quality rotary moulding at peak speeds of 40 metres/minute demands rapid transfer of dough into the moulds, and clean extraction from the mould. 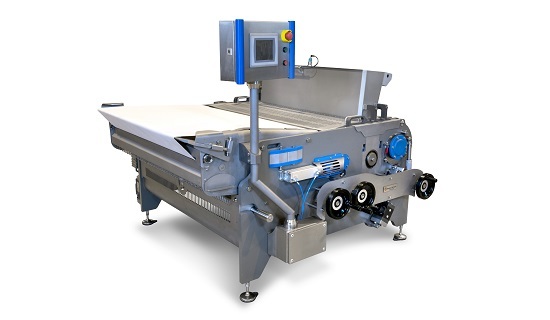 The TruClean™ Series3 retains the independent drives and adjustments which sustain optimum performance and weight control through setting and maintenance of critical parameters such as roll and web speed, forcing roll gap, scraper position and web tension. This range of independent adjustments maintains key product characteristics such as thickness and texture. It permits a wide range of products to be handled, from thick fingers to the thinnest cookies, even with the most difficult doughs. Throughout the machine, chains have been replaced by direct drive, eliminating a potential hygiene and maintenance problem. The gear drive to the rotary moulder has also been removed; it is now clutch driven, eliminating grease and exposure to teeth, achieving safer, cleaner and quieter operation. The TruClean™ Series3 is fully compatible with predecessor Series2 machines, so rolls can be re-utilised.